New Year is a great time to upgrade your life. Put quite simply you are worth it! Make self-worth the starting point of your year. How a simple change in attitude can make all the difference. Have you put in for your upgrade yet? After Solstice and Christmas Day, we are poised for our next big adventure in a week, New Year's Day 2014. For a start, I really have no idea where 2013 went, just that I don't really want another year like it. Nonetheless, I'm not too worried about the approaching year. Put quite simply, I am applying for an upgrade. Applying for an upgrade is a slightly different take on your new years resolutions. Christmas is a time and great hope and promise of new beginnings. New Year is when we plant our hopes and dreams. But it's not just a question of papering over the cracks, it's about taking a long hard look at life, and upgrading our lives accordingly but without the normal recrimination and self- blame we heap on ourselves. I think that's a great way of looking at things, and personally I believe all of us deserve one after seeing out what has been, in borrow the words of our Queen Elizabeth, the annus horribilis to end all annus horribilises for an awful lot of us. that we are all worthy of the very best in life. Yes that's the new and improved starting point. Seeing my life as part of a journey made all the difference to me, especially when I started to take meditation more seriously. 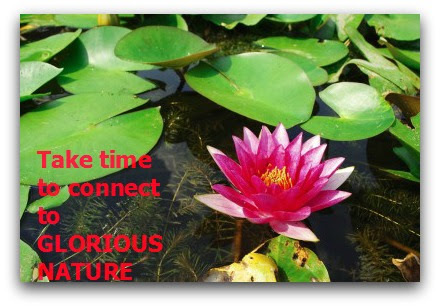 We start with a seed consciousness which unravels and continues to grow throughout our lives. We have everything we need at our finger tips to become the individuals we are meant to become. In embryo we are already everything we need to be, like the acorn becoming the mighty oak. To start with going for an upgrade means you start out from this somewhat different outlook. And this is it. but in the lives of people around you if you choose. If you think about it that Mighty Oak doesn't do half the struggling we do, it just gets on and grows. It's just a question of altering the way you see yourself. to become the individual you are meant to become. No half measures. Don't doubt yourself any more. Give yourself permission to be YOU. So let's get busy! At this stage in the game, its very easy just to toy with the idea, grab another glass or three and snuggle back down in the armchair AGAIN! But you are worth it, aren't you? What are you hiding from, you know you deserve the upgrade. AND then you may also want to tackle some of those negative thought patterns which have been holding you back. When you apply for your upgrade, you are really signally the Universe that you deserve the best. This is the core affirmation you need to tackle. Tomorrow we will explore this concept a little bit further. In order to apply for an upgrade (especially to THEM upstairs, in other words -Spirit), we have to be willing to change and change can leave us feeling a bit vulnerable. Are you ready to take the next step? Then stay tuned, watch this space, and remember it's all about self-worth!! After yesterdays blog on Wayne Dyers quote 'Don't die with the music still inside you....', I found this quote by Christina Rossetti on-line, and decided to dip into this topic some more. Here are some musings on the musicality of silence. Silence is the womb of all creation. The space before time began. It is a cauldron bubbling with pure potential and a space of infinite renewal. and the space between each breath as well as the space between all sound. Silence is, just as I am. Silence beats its own drum,. Silence - a call from the Universe, bringing us home to the majesty of the Self. Tomorrow is Winter Solstice in the Northern Hemisphere. We are about to experience the shortest day and the longest night, before the sun turns its radiant face back towards us,offering hope and new life even as we are still cloaked in the depths of mid winter. In the hurly burly of our festive preparations, spare a thought for the true meaning of Christmas. Yes it is a time for celebration, as well as a time for children. It is a time to celebrate the wonder of life and a future still laden with possibility for the common good even amid the heart-ache of all the hurt we see in the world right now. This Wayne Dyer quote really struck a chord with me this morning. But I couldn't quite work out why. It really stopped me in my tracks, and lead me into another space altogether. At first glance, music and silence don't go together. But what if the music is the silence? What if the music, crafted in the majesty of silence, is a song for peace? What if we each have our own note to sing, which when added to everyone else's creates a symphony of silence so profound that we all remember just who we are. And what if that symphony, becomes a huge out pouring, a collective out breath and surrender to the PRESENT MOMENT, a knowing that everything is just as it should be....and that we are all part of the same whole. There were so many cars on the road today taking advantage of the beautiful sunshine. We don't get out and about very early usually on a Sunday morning, its nice to relax and take it easy, but we both started the day with a spring in our steps and decided to go over to Ashridge for a walk. The place was buzzing with people. The forest floor was coated with a soft down of yellows, orange and reds. I love kicking my feet through the leaves, especially when the wind's dancing through the trees as well. Having read William Blooms book 'Working with the Angels, Fairies and Nature Spirits, with a group of like minded friends, it wasn't long before I was aware, once again, that there's so much more to life than we can see with our physical eyes. Take the Angels in the higher dimensions for instance or the devas and elementals who work with the natural world. Everything is interconnected..
All the Angels and devas work closely with the blue print for life; this includes the seasons of course. Even in the deepest depths of winter, the devas are still working with a blue print which will eventually result in fresh buds and blooms pushing their way through the soil once more in Spring. Just because we can't see anything happening and everything looks very drab it doesn't mean that nothing is happening. Life is magical and I agree with Wlliam Bloom when he says that we all need to be more aware of the magic that is life and live our lives from a slightly different perspective. This reminds me that we too have our own unique blue print for the highest outcome in our own lifes and equally the Angels, Higher Guides as well as the elementals are all holding the energy for us,, trying to help us find our way. Although we may feel alone, we are always being helped along the way by an army of helpers including the Angels, Higher Guides and Helpers......and sometimes when we are outside and we are open enough to their magic we can sense them. 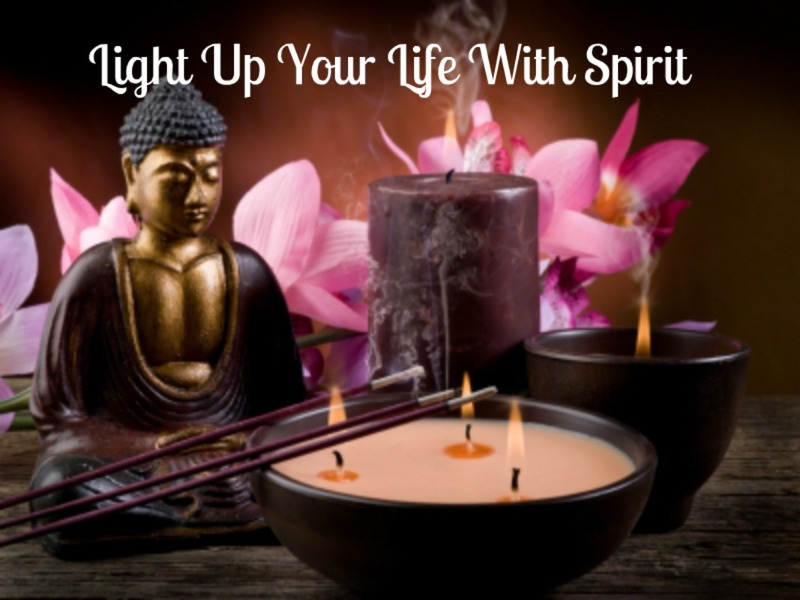 How do you light up your life with Spirit? I am a fan of sacred geometry. Especially the shapes that are encoded in the pyramids both of Mexico and Egypt. The pyramid brims full of layer after layer of esoteric knowledge and wisdom. It takes years of patient study, contemplation and meditation to unravel. There are two very distinct aspects of ourSELF, the Higher Self as well as the Lower or ego personality self. ....and to stay in perfect balance and harmony we need both of them. 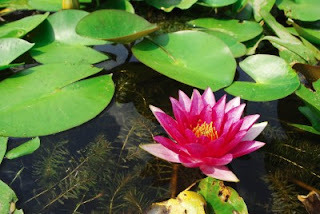 The lower self is designed to deal with the rigours of the external world but we also have to reconnect to the Higher Self on a regular basis to maintain that balance. That means we have to release ego's need to be in the driving seat, and just let go and enjoy the ride. Although life can be really heavy duty we all need to have our ration of fun and laughter, and that comes through remembering who we are and allowing yourself to be childlike and carefree again. We may no longer be children but we always remain sons and daughters of the Sun. Ancient cultures say that the Sun is our Father and the Earth is our Mother and we are all children of the Sun. (Sun is a term that the indigenous and particularly the Mayans used to described Source and the Creator energy. Quite apart from anything else, without the sun's rich and energising energy we just wouldn't exist). Letting go and letting Spirit take up the reins in our life is certainly the way to go and our children and grandchildren are full of Spirit. They can certainly show us the way and help us remember our true essence as well. They don't have a problem having fun communicating with the world about them. I had a whale of a time at Quainton Railway Museum yesterday with the grandchildren. I have always loved steam trains, but just the smell of steam was enough to set me off on a nostalgia trail: remembering huge trains chuff under the bridge at Gypsy Lane through grey puffs of smoke with my grandmother whilst I waved excitedly at the driver. I swear I spent more time waving at the passengers on the trains than my grandson did. Actually when I come to think about it, it was the adults who were doing most of the waving back at me!! I very often think being with our children and grandchildren gives us permission to get down and have some fun. I know I certainly did and do. I finished the day feeling really energised, tired yes physically but mentally really energised and alert. As we grow older, we become bogged down with all sorts of heavy duty responsibility. There's so much to cram into an already over jam-packed day, we very often lose our sense of playfulness. Being with children allows us to be more spontaneous, have fun and in this case took me back to the days when my life was much more carefree. Children really know how to light up our lives and they sure have plenty of Spirit. In the Northern Hemisphere, this is a time when our nights get both colder and darker. If you like harvest has already been gathered and what was once green fertile fields and meadows are stark brown now in comparison. There's nothing us mere mortals can do about it, the sun's already begun its journey back towards the southern hemisphere. This is a time when we let go and let Spirit be our Guide. Its a time of releasing what no longer serves us, so that we can begin our new year with real hope, and inspiration with Spirits Guidance. Watch the way waves reach up towards the heavens before crashing down back into the ocean. Everything moves in waves and cycles, and so we need to trust life's natural rhythms. This is a time to celebrate the sun's natural ebb and flow because it brings in new life, and we all quite naturally are looking forward to brighter clearer days next year. My workshop this Saturday 2nd. November looks at our need just to let go and have a bit of fun, to trust the process of life, and to trust that our Divine Parents are really looking after us. That puts a different spin on dying doesn't it, especially when we look at the seasons of the year. This is a time to celebrate. First we will be joined by Archangel Raphael and then by Mary Queen of Angels. Their energy over-lights the day. My workshops are all individuals tailored both to the prevailing energy of the day as well as the needs of the participants so that we gently unfold step by step towards our path of enlightenment. Each individual receives an Mp3 of the days meditations and visualisation. It's a day when you will hopefully remember your true essence unconditional love. There are just a couple of spaces left. Spaces are strictly limited to just ten for your personal comfort and attention. Please bring a packed lunch, a packet of seeds, a notebook and a blanket for the exercises. Please do contact me if you feel called to join us. It's that time of the year again - my birthday!! !That means I am a Leo. Since the new moon, I'm spending some time revising some of my new years resolutions to make sure I'm still on track. Leos get a lot of bad press. Some people call us arrogant, but one of our major lessons is about SELF-LOVE, spontaneity and liberating the inner child. In fact most of 2013 has been about self-care and self-love for me since I have had a couple of health issues. You may not be a Leo, but I believe there's a major lesson in each of the birth-signs for all of us as we progress through the year. And if we work with each one of them in their turn, we will be well on our way to achieving our New Years Resolutions and fulfilling our dreams. Why I am doing this? Who am I doing it for? Is it because I feel obliged to do it, or is it because it really inspires me to do it? Do I care about myself enough to let go of the things that no longer serve my purpose. If I am holding myself back - Why? I am afraid to move forward. Life's all about change. Do you care about yourself to make positive changes in your life? We negotiate uncharted waters, so who knows what we may encounter on our journey? Change is undoubtedly scary, but we all have some hidden friends in the higher dimensions who are holding a space for us to implement positive change and to keep us in tune with our Higher Purpose. What does holding the space mean? Angels and our Higher Guides always surround us with their Light and Love, and this helps keep us on track. 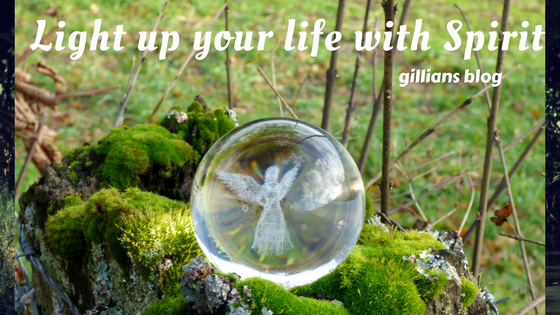 You could say that during your life you are always 'Wrapped in Angels Wings!' These Angels will be on a similar life's path to our own but at a higher level. It's part of their mission to help us stay in tune with our Higher Self, our Divine Essence. Our Divine Essence is the fabric of our entire being and is built on unconditional love. If we can maintain this connection we will make decisions based on self-love, rather than fear, and such decisions can only enhance our experience of life. Archangel Raphael is one of my favourite Angels. We work with him all the time in our meditation group because he is a powerful healer, and now you also have the opportunity to work with him in my new workshop designed to link you more closely to your Divine Essence, 'Wrapped in Angels Wings.' He also works at heart level and with the breath, and is concerned with the way we communicate not just with other people but more importantly ourselves. When we love ourselves enough we stay connected to the indwelling spirit. When we understand who we really are, we let go and let spirit help us. 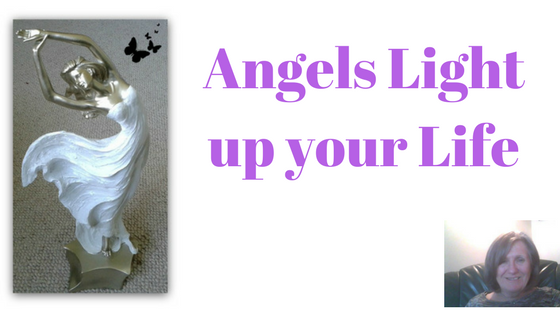 Wrapped in Angels Wings is a workshop on Saturday 21st. September at my home in Hemel Hempstead. In this workshop, we will forge a closer connection to Spirit and the Angels and Archangel Raphael in particular and learn how to build a truly nurturing space for yourself. We will experience the beauty of being 'wrapped in angels wings' in a series of powerful meditations and visualisation, and learn to trust the process we call life. At the end of our workshop you will receive Mp3/CD of the day to take home and play. Early bird price £30 contact Gillian to reserve your place. Its designed to be a small group. Life has its own natural ebb and flow; summer brings light, winter darkness, and day follows night. Mid June is the time of the year when the sun reaches its zenith at Summer Solstice before journeying back over the equator to usher in the darkest night of the year on 21st. December, (Northern Hemisphere) or Winter Solstice. Then, this grand cycle, we associate with the sun begins all over again. Yet, how many of us are equally aware that a similar process also happens each month with the waxing and waning of the moon. Rather than evolving over a 365/6 day period, these moon cycles occur every 28 days with the new moon and then the full moon. When we work with these sacred cycles, both conscious (the sun) and the moon (unconscious) we can achieve a greater sense of harmony within ourselves, and achieve our goals much more readily. The unconscious mind can work against us. 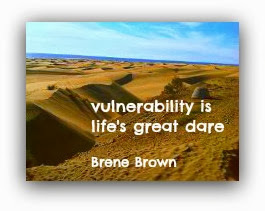 Even though we want to create a better life, we all have an inner saboteur, who very often halts us in our tracks. It lives in our unconscious mind and is a reworking of old patterns and fears that have shaped our lives as we grew up and also at other major times in our lives. The full moon each month taps into some of our unconscious programming and can create an outpouring of frustration and emotions. Lots of people notice this in themselves as well as other people around them, but don't do anything active to alter it. They just battle on. But we can take this energy and put it to good use by transforming the thought processes and old patterns that have created then in the first place. Meditation and contemplation are good ways to do this. 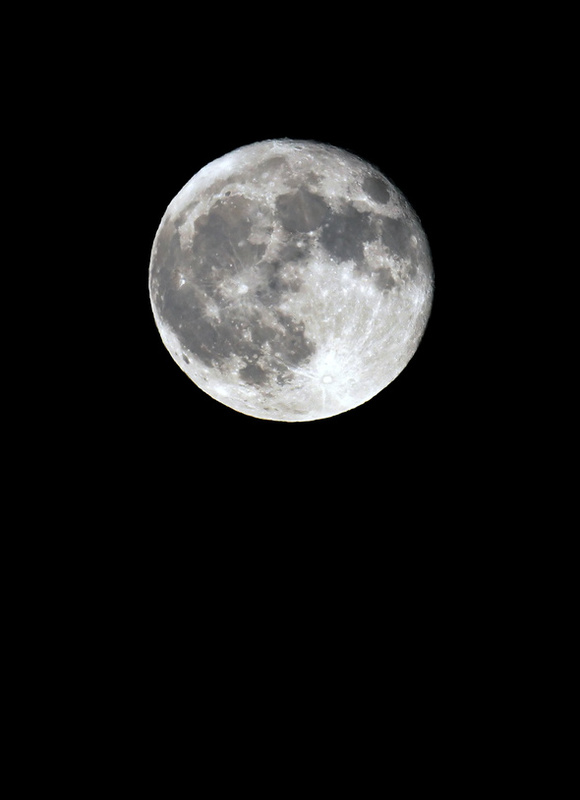 Each lunar month is dedicated to a different aspect of our Selves which is related to the Zodiac. This month's topic, when the sun is at its highest point in the heavens here in the northern hemisphere, is self-care. This month's full month in Capricorn, is also related to the sun sign very often associated with mothering, Cancer. Self-care can be very difficult for spiritually minded people, but its really important to create a balance between our own needs and those of the world around us. Each month we are given the opportunity to learn just a little more about ourselves as well, and some of the hidden talents of resources we have had tucked away in our unconscious minds for ages. 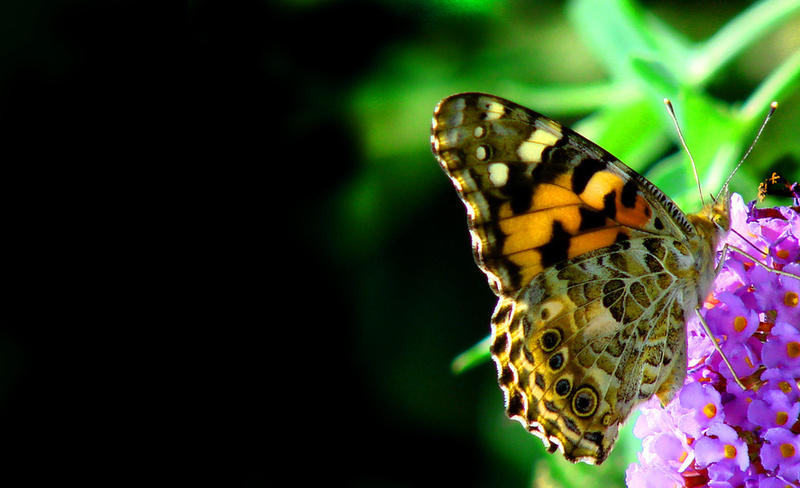 Jophiel is associated with beauty in all its forms in the world about us, but particularly nature. She is also associated with sacred space. Archangel Gabriel on the other hand is associated with birthing and mothering and Mary who is Queen of all Angels. White Eagle talks about Jophiel cutting back unwanted branches so that our shrubs, trees and plants will be able to grow more vigorously rather than lose their strength in a wild tangle. This is also true for us. Most people I know at the moment, are dashing around meeting themselves coming back in the other direction. It's important to step back and reassess our actions so that we in our turn remain strong and healthy and have the vitality to achieve our hearts desire, not by bashing our way through but by working more gently in alignment with these lunar cycles. The first thing to do is take a long hard look at where you may be draining yourselves by doing too much, feeling obliged to do certain things that no longer make your heart sing, This means feeling overwhelmed by sudden rushes of frustration or emotion that you find difficult to control. Try not to act on these impulses but reflect on them. Your feelings could well be heightened by the moons energy but you can use this knowledge in a positive way, by stepping back. This is already a move in the right direction, because you are giving yourself the space to connect to Spirit. Therefore, you could even call it an act of power, because you are beginning to see 'the light' of Spirit's inspiration. Self Care means feeling good about yourself, as well as nourishing yourself mentally with positive affirmations, emotionally with loving attention and physically by taking enough rest, exercise and eating the right foods for your needs. It also means seeking out areas in your life where your thoughts, feelings and actions could be a bit more detrimental to your well being. The minute you stop reacting you begin to feel much better about yourself. Self Care means getting the work/life balance right. That's a tough one, but when we take a step back from the hurly burly of our day to day lives, we are one step closer to Spirit, and one step closer to achieving our Hearts Desire. Aren't you worth it? I first met Janet Butler as the medium's secretary at Garston Brotherhood of Spiritualist's Church, First Avenue, Garston, Watford. At the time, I didn't know she was a powerful healer in her own right. A real fan of Derek Acorah, she's been going along to his gatherings for quite a while, but had no idea she would be called up on stage to give healing at one of Derek's events after giving him some very effective healing herself. 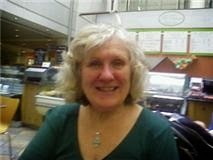 'Janet Butler is an accomplished healer and is a registered member of The Home Counties Association of Spiritual Healers. 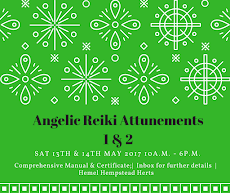 She has recently set up her own healing centre in Croxley Green, Herts. I will let Janet tell her story in her own words. I had given Derek healing before so he was very pleased to see me, and asked if I would be able to give him some more then.He had trouble getting out of his wheelchair. I stayed with him for about half an hour and asked my guide to help as I always do. However, Derek said the hip still felt so hot,uncomfortable and very painful. all went home. Of course I said I would do all I could to help. Trusting what I heard I told him and he said,'Ok Janet, I trust you.' With that he stood up and walked across the room. The pain had disappeared. My mouth was wide open and the tears were streaming down my face in amazement. He was so grateful and thanked me so much. Healing really does work. Derek's back is great to this day. At one of his shows in November, Derek mentioned just how powerful healing could be, and then got me to stand up. Later on, he was giving a message to a young man in the audience who was in a lot of pain and discomfort, and asked me to give him healing while he got on with the rest of the show. The young man was so grateful as he had never had healing before, and it really helped him. I have spoken to Derek and he has given his blessing to me writing this article. He had no hesitation at all. I saw Derek the whole of this weekend and asked if he had any reoccurrence of his back pain and he said not even a twinge. I just thank spirit every day for giving me the gift of healing and being able to help people in need.' Contact Janet on 07917724379 Her healing centre meets in Croxley Green on Tuesdays 7.15 - 9p.m. 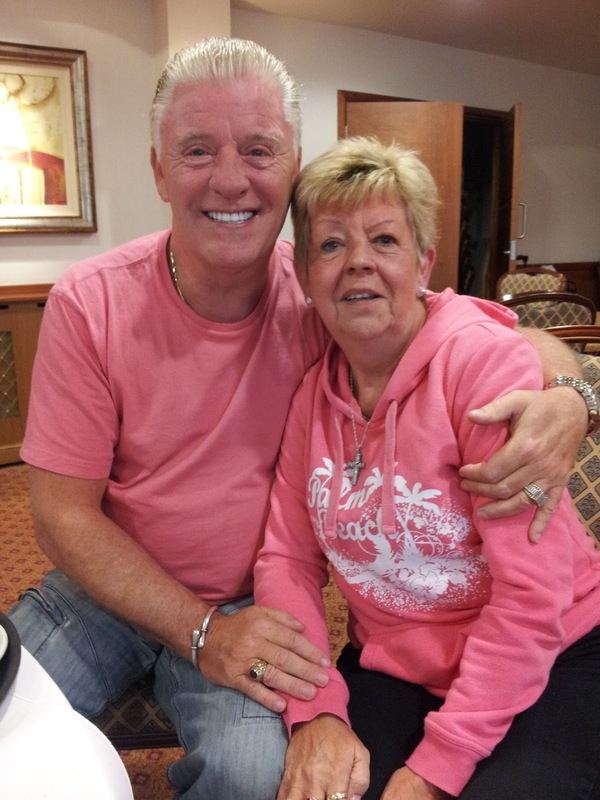 Her first evening of clairvoyance is on Saturday 13th. July.